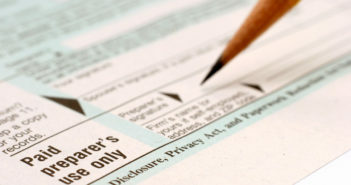 Will Your Tax Preparer Get You in Trouble? 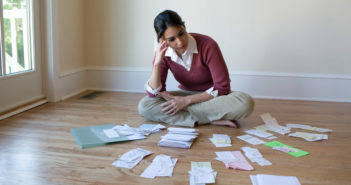 7 Tricky Tax Return Questions—Answered! 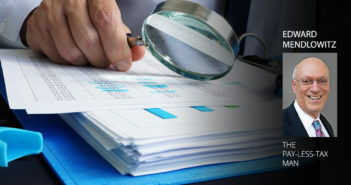 Is Your Tax Return Asking for an Audit? I sold some mutual fund shares in 2010, and the resulting capital gains are a lot larger than I expected. Is there anything I can do to lower the capital gains tax? You can do two things. First, confirm that you are including reinvested dividends in the cost basis that you used to calculate your profit. For example, if you bought the shares 10 years ago for $5,000… reinvested $1,000 in dividends over the ensuing decade… then sold the shares for $8,000, your taxable profit isn’t $3,000 — it’s only $2,000. That’s because you already paid tax on the $1,000 in dividends along the way. Investors often overlook this and overpay their taxes. A phone rep at the mutual fund company should be able to help you figure this out. Second, refer back to your 2009 tax return to see if you had any capital losses that can be carried forward. 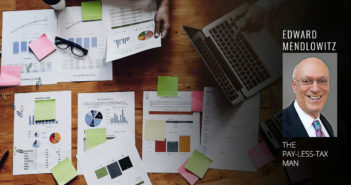 This would have been reported on line 16 of your 2009 Schedule D. Many investors endured significant losses during the market’s declines late in the last decade — more than they could claim on their returns during those years. Those losses could be used to offset 2010’s capital gains. See the “Capital Loss Carryover Worksheet” in IRS Publication 550, Investment Income and Expenses. I went back to college in 2010 because I lost my job and couldn’t find a new one. Do I qualify for an education tax credit? If you’re an undergraduate, you may qualify for the American Opportunity Credit, which offers up to $2,500 per year to help offset the cost of college, but it can be applied only to expenses incurred during the first four years of postsecondary education. This credit has no age limit, so you can claim it whether you’re paying your child’s college bills or your own. You won’t qualify for the full credit if your modified adjusted gross income (MAGI) is above $80,000 ($160,000 for joint filers), and you won’t qualify at all if your MAGI is above $90,000 ($180,000 for joint filers). Up to 40% of this credit is refundable, meaning that you can claim it even if the amount of the credit exceeds your tax liability. If you are in graduate school, check out the Lifetime Learning Credit. See the instructions to Form 8863, Education Credits. I am self-employed, and even though 2010 is over, I would like to shift as much of my 2010 income to 2011 as possible to take advantage of this year’s two-percentage-point reduction in Social Security payroll taxes. What can I do now? 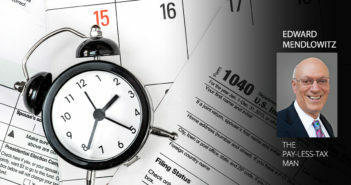 You cannot legally put off paying taxes on income you received in 2010, but you can legally delay paying taxes on any checks that clients mailed to you in late 2010 that you didn’t receive until early 2011. Unfortunately, there’s a catch — your business clients will report to the IRS that they paid you this money in 2010, and the IRS is likely to notice if the amounts your clients report paying you don’t match the amounts that you report receiving. Such discrepancies often lead to audits. My wife was unemployed in 2010, but I had a job. Can I make Roth IRA contributions for both of us? Yes. While people without earned income usually are not allowed to make Roth contributions, the IRS will allow a working spouse to make a Roth contribution for a nonworking partner, assuming that the couple files a joint tax return and does not exceed income limits. My 26-year-old daughter lost her job and her home last year and moved back in with me. Can I claim her as a dependent? Possibly. You generally can claim an adult child of any age as a dependent as long as you provided more than 50% of that child’s financial support during the year and the child earned less than $3,650. The same rules apply to other relatives, including parents, grandparents, siblings, uncles, aunts, nieces, nephews and in-laws. You even can claim nonrelatives as dependents if they meet the income and support criteria above and they were full-time members of your household — assuming that having this nonrelative living in your home does not violate any state or local laws. 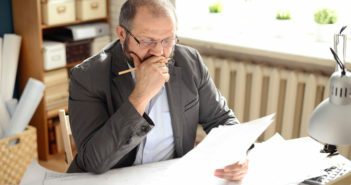 Each dependent you can claim is worth a deduction of up to $3,650, regardless of your income — starting with the 2010 tax year, there is no phaseout for high earners. I bought a home in 2010. Do I qualify for a home buyer tax credit? Perhaps. To qualify, you must have signed a contract to buy the home by April 30, 2010, and closed on the property by September 30, 2010. Members of the military and certain other federal employees who served overseas for at least 90 days between December 31, 2008, and April 30, 2010, have until April 30, 2011, to enter a contract to buy a home, and until June 30, 2011, to close on the purchase. You don’t qualify if the home cost more than $800,000 or if your MAGI was above $145,000 ($245,000 for joint filers). You’ll qualify for only a partial credit if your MAGI was below those figures but above $125,000 ($225,000 for joint filers). Your home ownership history also could affect your eligibility. “First-time home buyers” — those who did not own a home for at least the previous three years — qualify for a credit of 10% of the purchase price of the home, up to $8,000. “Long-term residents” — those who previously owned and lived in one residence for at least five consecutive years during the prior eight years — qualify for a credit of 10% of the purchase price, up to $6,500. If you don’t fit either of these categories, you do not qualify for a home buyer credit. See the instructions to IRS Form 5405, First-Time Homebuyer Credit and Repayment of the Credit.